Twelve mosquito samples taken by the Suffolk County Department of Health tested positive for West Nile Virus. The samples were collected between July 16 and 17. This now brings the total to 16 mosquito samples and two dead birds tested positive for West Nile Virus this year in Suffolk County. The latest mosquito samples tested positive for West Nile Virus originated from Huntington, Greenlawn, Northport, East Northport, Holtsville, Selden, Farmingdale and Aquebogue. If you are bitten by a West Nile Virus infected mosquito, it can bring on a slight fever and head and body aches in mild cases. Severe infections may include muscle weakness and may progress to encephalitis or meningitis, according to the Suffolk County Department of Health Services. Symptoms may run from three to 14 days. Individuals age 50 or over are particularly urged to take precaution. “While there’s no cause for alarm, we urge residents to cooperate with us in our efforts to contain the spread of the virus, which can be debilitating to humans,” said Dr. James Tomarken, commissioner of Suffolk County Department of Health Services. Mosquitos can breed around water, including flower pots, children’s toys, clogged gutters, pools, as well as puddles on pool covers. Residents are asked to eliminate areas of stagnant water. Residents can take further precaution to avoid mosquito bites by minimizing outdoor activities between dusk and dawn, wearing long pants and long-sleeved shirts as well as socks with shoes, using mosquito repellent and having screens over windows and doors. 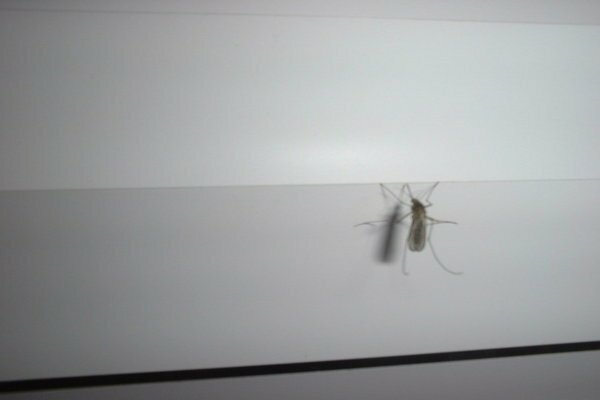 Subject: LongIsland.com - Your Name sent you Article details of "Mosquito Samples Tested Positive for West Nile Virus in Suffolk, Residents Urged to Take Caution"